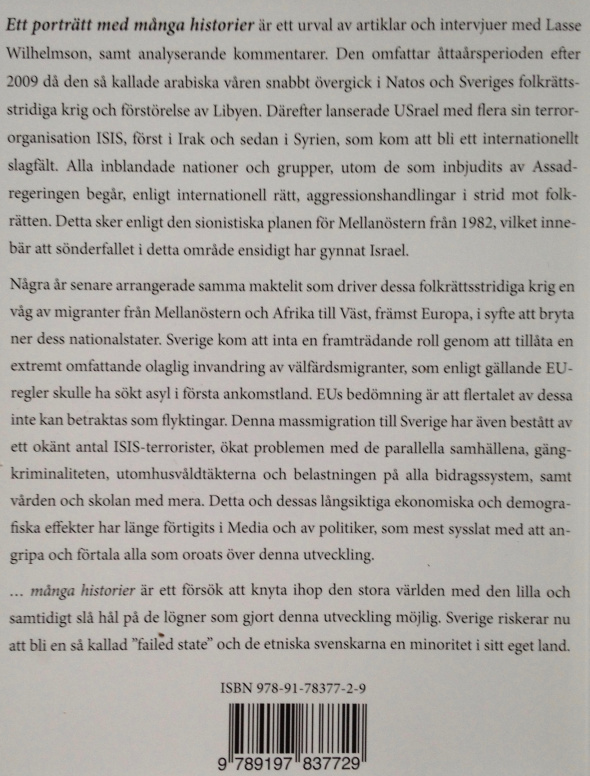 In his column in the tabloid Aftonbladet on June 17th 2012, ”Sweden tomorrow – a nightmare where everything goes to hell”, Jan Guillou argues that prime minister Fredrik Reinfeldt is trying to ”blame unemployment on immigrants”. Because he used the expression ”ethnic Swedes” in the debate. I must say I find it rather difficult to keep up here. Indeed, with this logic unemployment is the fault of the Swedes every time concepts like Somalis, Arabs, Kurds or suchlike are used to describe immigrant groups with certain ethnic backgrounds. In the same column Jan Guillou himself talks about non-ethnic Swedes which seems somewhat contradictory in this context. Regardless of what you think of Fredrik Reinfeldt, he has not actually said that it is the immigrants’ fault. I don’t think he means that either. He is obviously not stupid. However, only he knows his innermost thoughts. And suppositions about these should not really be the starting point of a serious debate. Why not debate with Herman Lindquist who deserves praise for recently having stuck his neck out in these matters in his column ”Time to stop vomiting on our national day” and who later in an interview agreed that ”ethnic Swedes exist”? What does it mean to be ”Swedish”, what is ”Swedish culture”, is it about our independence and the kind of Swedish nationalism we want and the kind we don’t? Unfortunately Jan Guillou seems slightly confused here. And not just about what is and what isn’t politically correct. Focusing on whose fault it is – the immigrants’ or the Swedes’ – is worse. Focus should be on immigrant policy. Because of this, Guillou’s column is actually counter-productive to, one must suppose, the ambition to decrease xenophobia and racism. The latter has now become an epithet for all kinds of nationalism, from flying the Swedish flag and defending Sweden’s independence, to being proud to be Swedish, at any rate in the old media. And why does Guillou make immigration an issue for party politics? That discussion has up till now only led to everyone blaming the Sweden Democrats, who we were actually landed with because other parties never seriously debated the problems immigration causes. Cowards in the political establishment have chosen to avoid the issue for too long. That problems occur when cultures clash is not unusual. 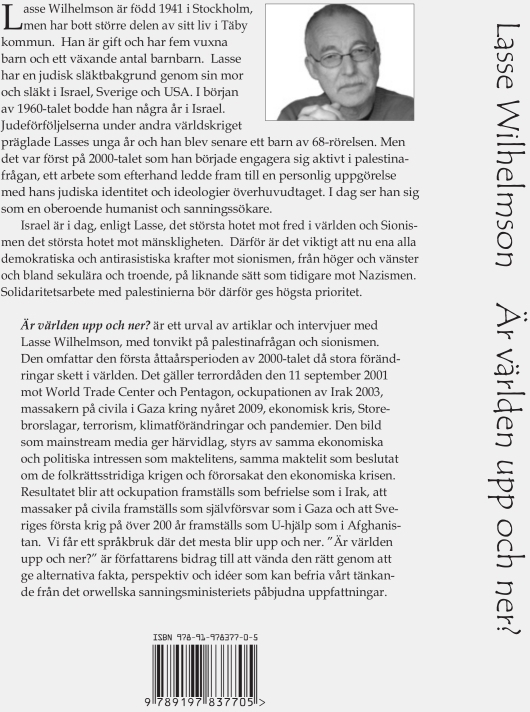 Guillou himself wrote about Finish Gypsies in Malmö many years ago in legendary articles covering the problems there. At that time he stressed the danger of keeping quiet or denying things everyone involved already knew, namely that they stole shamelessly, mainly from food stores. Shameless because morals in their culture apply only to their own group. We do not need to moralise over this sort of tribal mentality, it exists all over the world, but we do need to understand it in order to deal with the problems it causes in society. Guillou endured much mudslinging at the time, not least from sociology professor Joachim Israel who called him a racist. It hit him especially hard, as a Jew, that a minority group is criticised when their behaviour is not accepted. Has Guillou changed his mind in these matters? Today there are large groups of immigrants in and around our biggest cities who are victims of housing segregation, many who have no employment, far too many who are dependent on welfare programmes, and where we find new types of destructive criminal gangs and sub-cultures out side the Swedish ”majority culture”. The more immigration increases the bigger the problems will get especially in the absence of immigrant policies that can deal with them. I agree that it is not obvious what the meaning of ”ethnic Swede” is, but a provisional definition might well be that it is a person who embraces Swedish majority culture, including the language, and who is usually born in Sweden. Perhaps you are only an ”ethnic Swede” if you are an immigrant in a country where the majority belong to a group with clearly discernible ethnic, culture and language features? The way people look also matters as we know. What is inherited and what is down to environment in these cases will always be debated as will what came first, the egg or the chicken. These are all issues we can discuss, but to say like many crazed individuals who take part in the debate, that there are no ”ethnic Swedes”, only ”ethnic immigrants” is to deny that Sweden has a majority culture founded by people who have had roots here for thousands of years, thanks to limited culture and genetic intrusion. Do they really mean that only immigrants’ culture should be acknowledged in Sweden? If so, are they not advocating that Sweden should be a dictatorship of minorities? The discussion about the politics of immigration and various ethnic groups is similar to the one about feminism and homosexuality. These groups always define themselves against a background of society’s majority, but when those who see themselves as part of this majority defend their interests, they are called ”racists”, ”male chauvinists” and ”homophobes” by the most ardent protagonists. It is similar to the way in which you are labelled ”anti-Semite” and ”Holocaust denier” if you criticise the Jewish state and Israel, or the way the conquerors wrote the history of the Second World War. I thoroughly dislike this bad anti-intellectual habit, the moment the chance is given, of putting your opponents into different categories that benefit your own agenda. Immigrant issues are currently widely discussed and this is of course due neither to Fredrik Reinfeldt nor the Sweden Democrats, but because immigration is higher in Sweden than it has ever been. Large numbers of people have ethnic and culture origins that are different from those of the Swedish majority. This causes problems that must be acknowledged and openly discussed in order to be solved. It is not good enough to blame the xenophobia of political opponents as Jan Guillou does, when the ”xenophobia” is a result of immigration. Swedish social democracy once had fairly simple answers to these questions. I think it was Tage Erlander who said that naturally we welcome immigrants and refugees but no more than we ”can handle”. How many immigrants can we handle, or wish to handle, in Sweden? A million, two million, three million or a majority of citizens? Me, I plan to celebrate a traditional Swedish Midsummer and continue to hoist the Swedish flag for special occasions, love and defend the country that I am an organic part of and never start to feel ashamed of being an elderly, white, heterosexual man – regardless of the chattering Swedish culture elite that for the moment seems to rule our country. 1. Jan Guillou is a prominent Swedish leftwing writer of many important and popular books, and he is also a columnist in the tabloid Aftonbladet.